Nizamabad (Telangana): Ruling Telangana Rashtra Samithi (TRS) Mandal Praja Parishad president Immadi Gopi has been booked for kicking a woman in the chest during an argument over a property dispute at Indalwai village in Nizamabad district on Sunday after she hit him with a ‘chappal’. 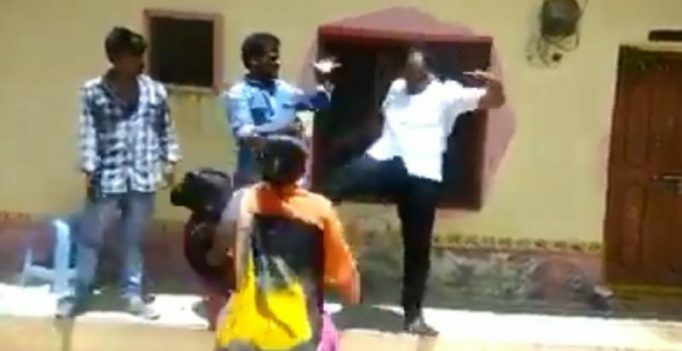 A video of the incident shows Immadi Gopi kicking the woman in full public view. The video of the incident has gone viral on social media. A case has been registered against Immadi Gopi under various sections of the IPC (Indian Penal Code) based on the woman’s complaint. Immadi Gopi has also filed a counter complaint against the woman and her family for trespass and for damaging his property, police said. The woman and her family members were staging a protest in front of Gopi’s house over the delay in handing over the possession of a land they had bought from him. According to news agency ANI, the woman had purchased a property for Rs 33 lakh from the Dharpally MPP about ten months ago. However, Gopi did not hand over the possession of the property and demanded an additional amount of Rs 50 lakh “in view of rise in land rates in the area”. “The victim had purchased the property for Rs 33 lakh from Gopi. Today, the woman, along with her few community members, went to the residence and asked Gopi to hand it over to her. 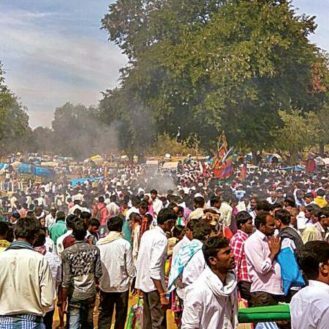 Gopi demanded more money and threatened her,” said the ACP of Nizamabad north. The police officer further said that after the woman hit Gopi with her footwear, he retaliated by kicking her in the chest. The other members later broke open the door of the residence and vandalised all the furniture. The two sides had a minor scuffle last week.